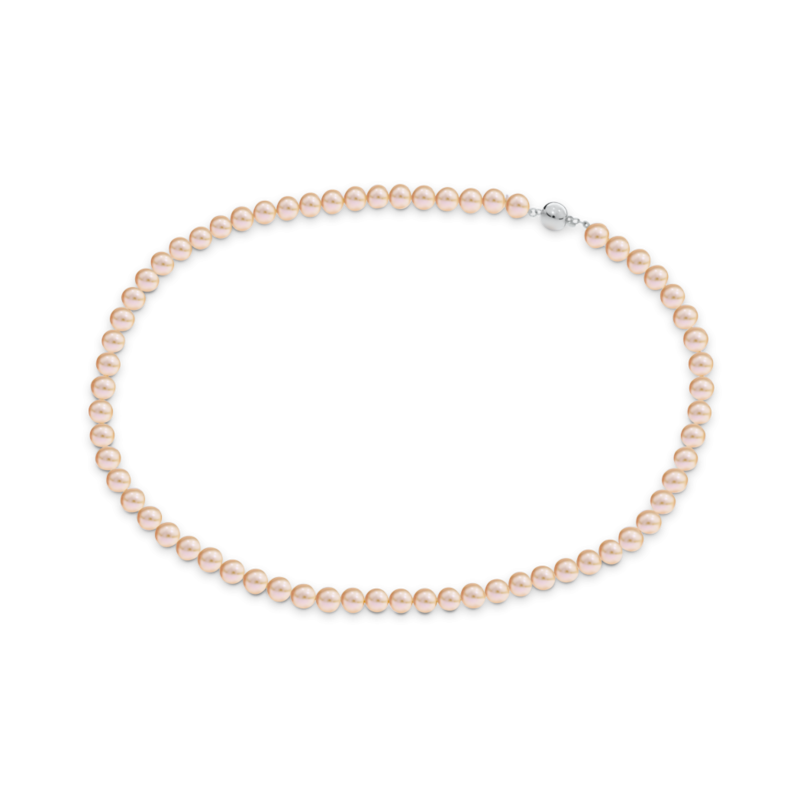 Pink Akoya pearl necklace featuring a 9ct white gold clasp. 48cm length. Available in a range of lengths and pearl sizes. Only the finest threading materials are used in ADC pearl pieces.